Best materials, extremely rugged metal housings and super-solid moving parts with gold-plated conducting paths ensure perfect sound, superb functionality and a long service life. Manufactured for extreme precision: Snaps cleanly into all switch positions. The switch knobs are available in black and white. The Megaswitches S and T and T 3-way and T 5-way have the same PCB. 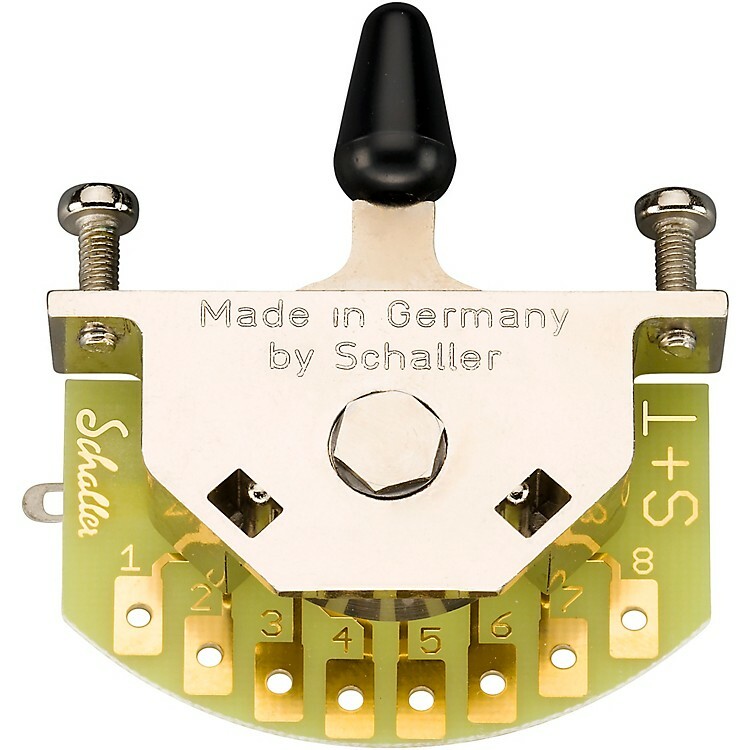 Choose Schaller, the driving force in the development of instrument hardware.